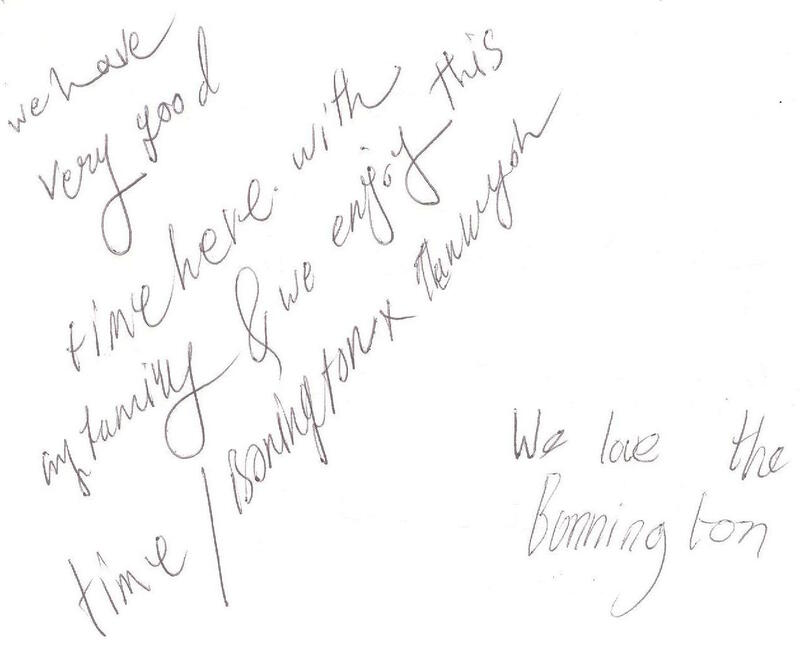 Eid Mubarak from all of us here at the Bonnington! Another Ramadan has drawn to a close in Dubai and it’s time for the annual Eid celebrations. Dubai offers a large variety of events for you to experience over Eid and you can find out more about what’s on offer here. If you’re in Dubai for Eid, why not join us for our annual Eid brunch extravaganza? 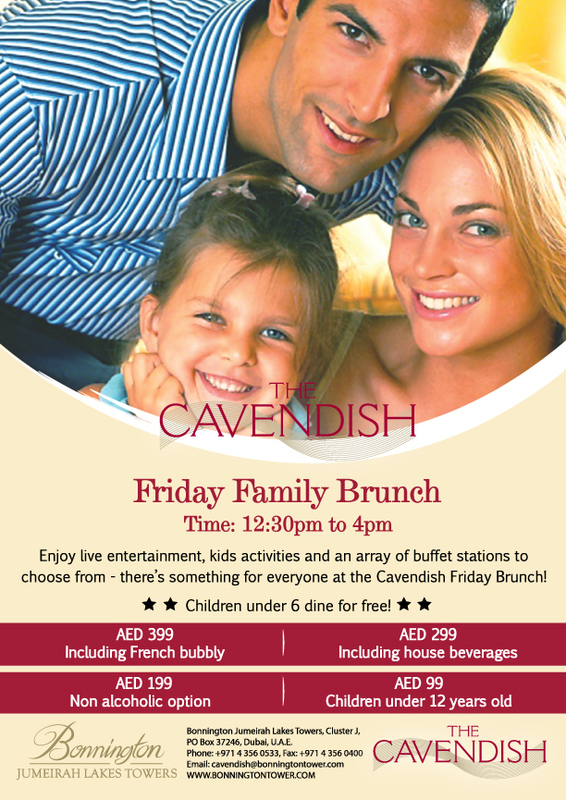 Enjoy live entertainment, kids activities, and an array of scrumptious dishes to choose from – there’s something for everyone at the Cavendish Eid Brunch! Prices start from AED 199/person, kids under 12 are half price, and under 5’s eat for free. Click here to find out more & book your seats. 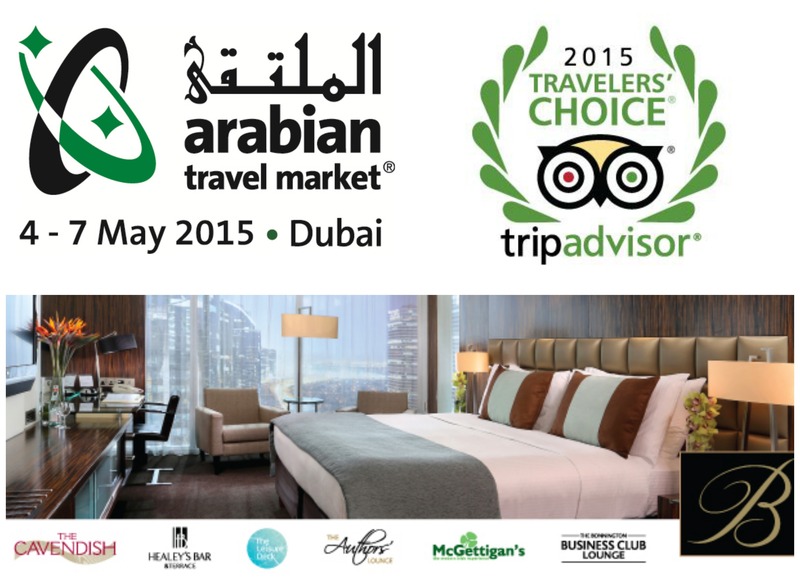 The 2015 Arabian Travel Market #ATM2015 kicks off this Monday and, as every year, we’re part of it. You can find us on stand no. UAE3140/UAE3110. 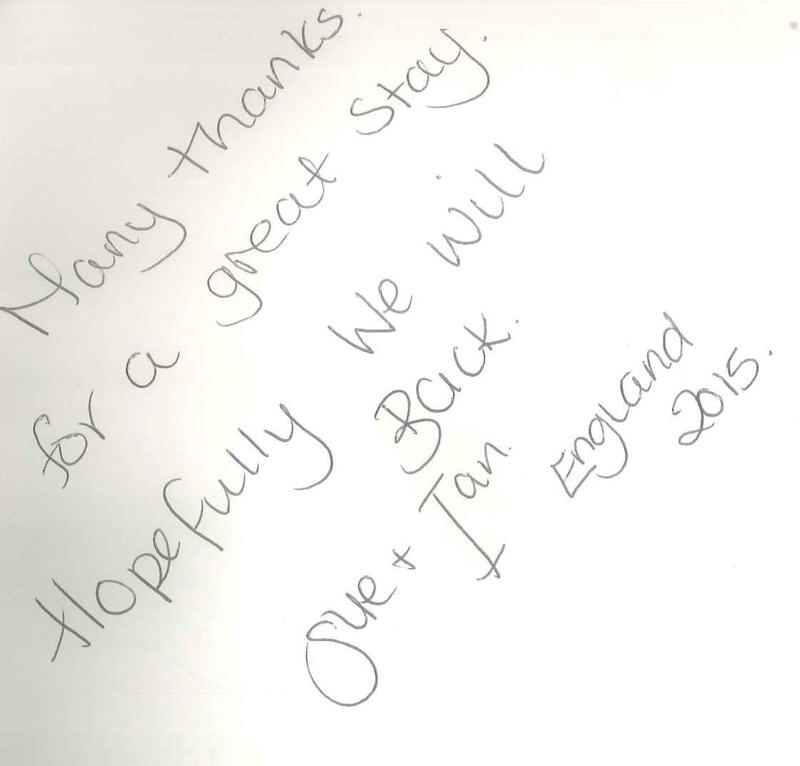 We hope to meet with many of our travel trade friends and industry colleagues! 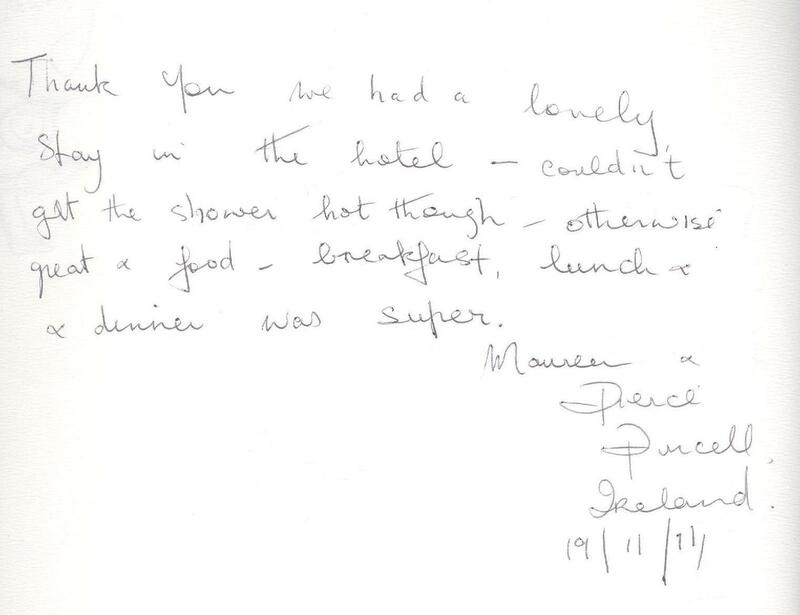 It’s Wednesday, so we bring you more Golden Book comments for #guestcommentswednesday , but also good news, especially if you’re hungry: We’ve just launched new food menus in many of our outlets. You don’t have to wait until Christmas Day to try our gourmet festive specials! 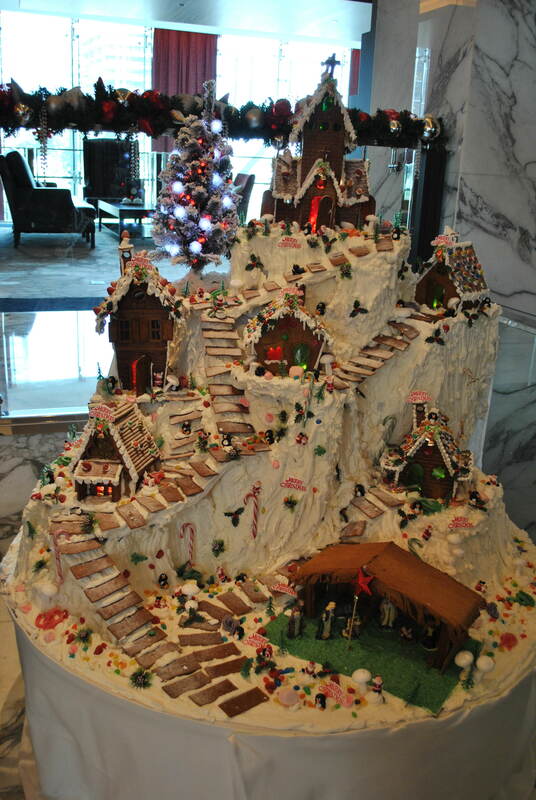 We’ve got a daily festive set menu for only AED 195 pp. and you can find it here. 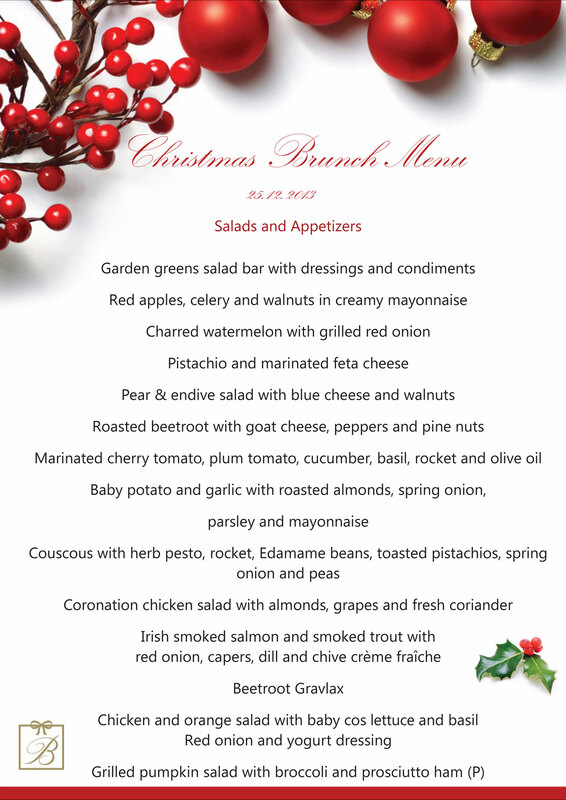 We’re very much looking forward to welcoming you to our traditional Christmas Eve dinner and, of course, our Christmas Day Family Brunch! 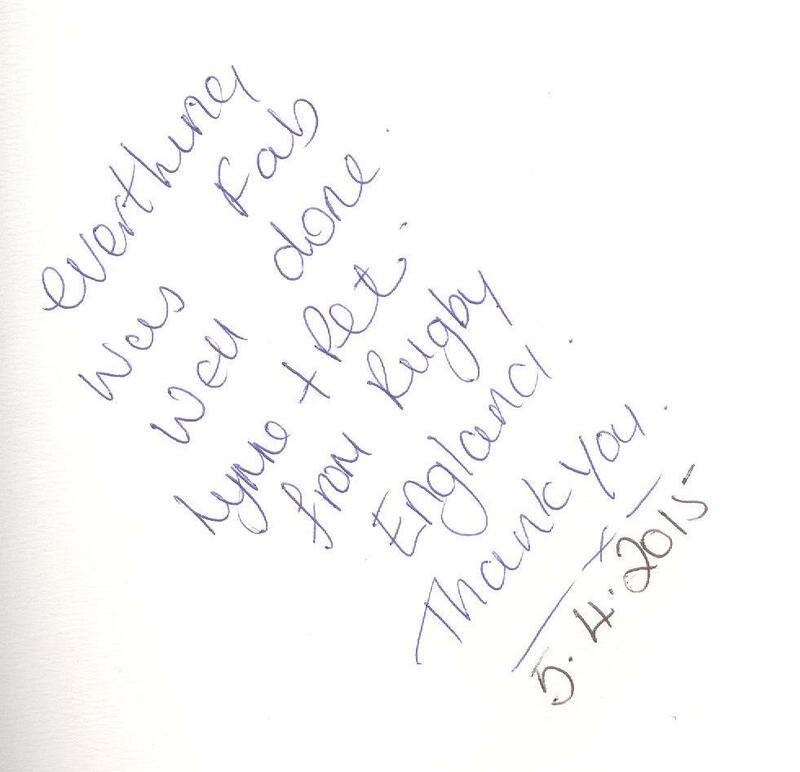 Both events are very popular every year, so book now to avoid disappointment. 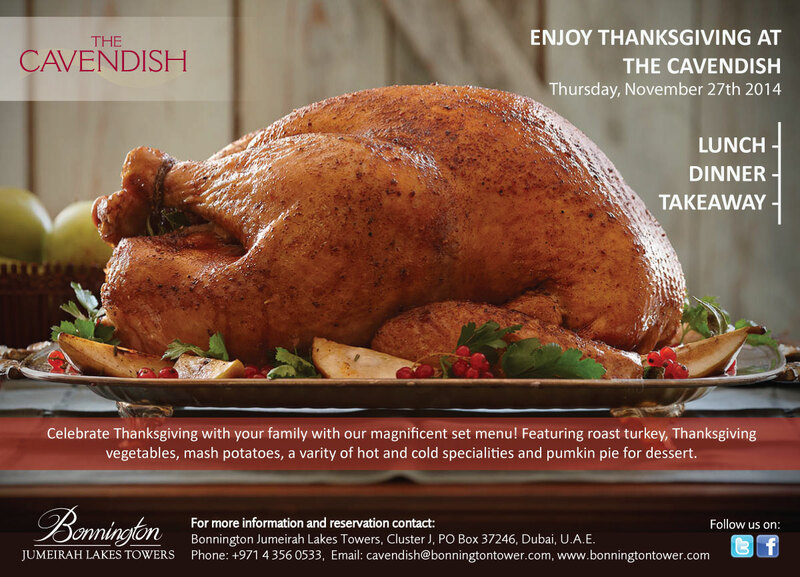 You can book on our website http://www.bonningtontower.com/cavendish-restaurant-dubai.asp or you can call us on 043560000. 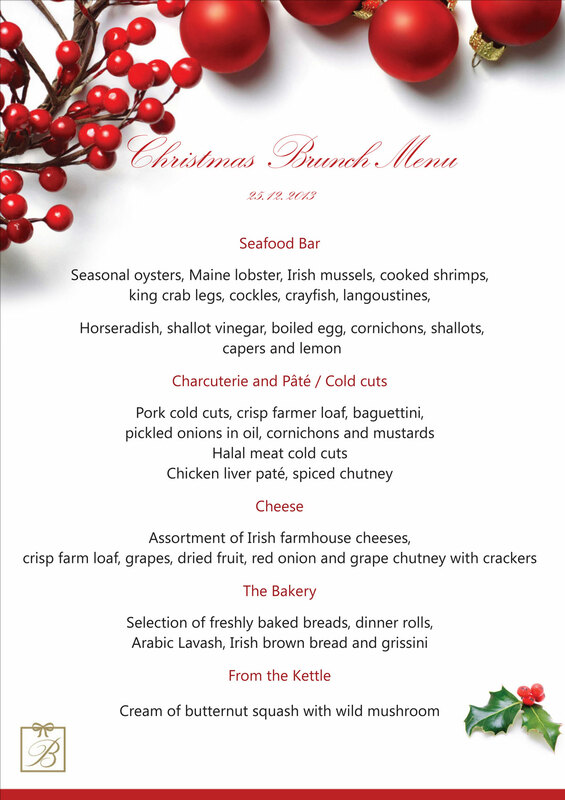 Our Christmas Eve menu has been carefully prepared and features a stunning variety of delicacies, such as Wagyu Beef, Catalonian Sea Bass, and Wild Boar. 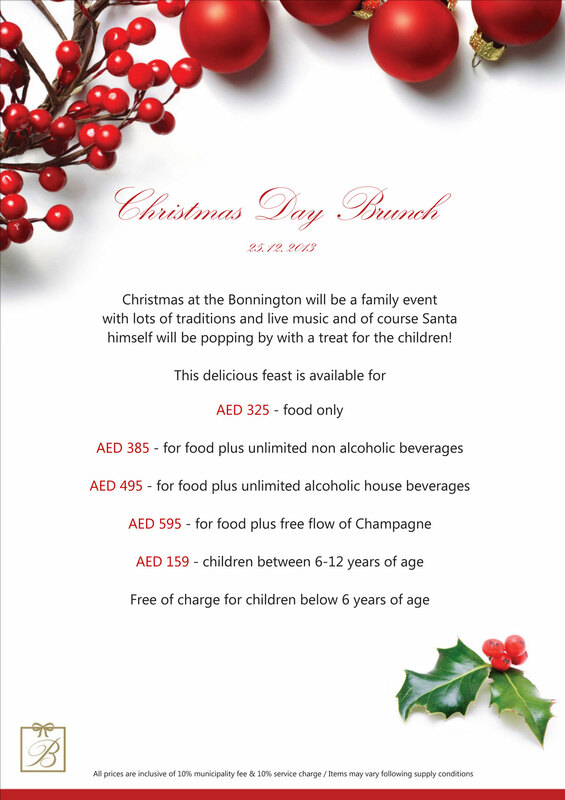 On Christmas Day, we offer something for the entire family: Our festive family brunch! 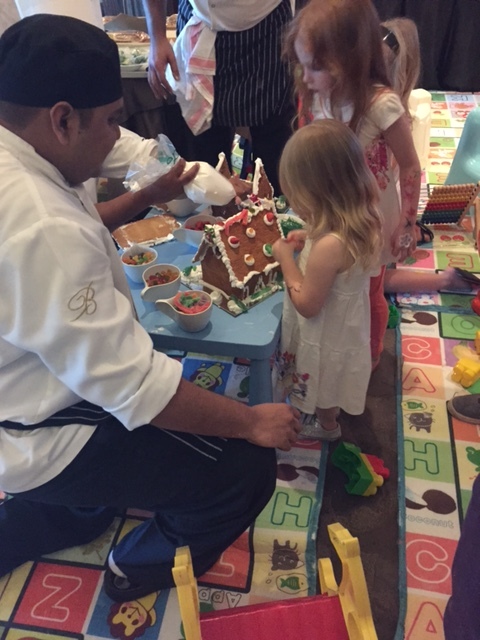 Santa will pay us a visit and there’s entertainment and a special buffet for our younger guests, too! 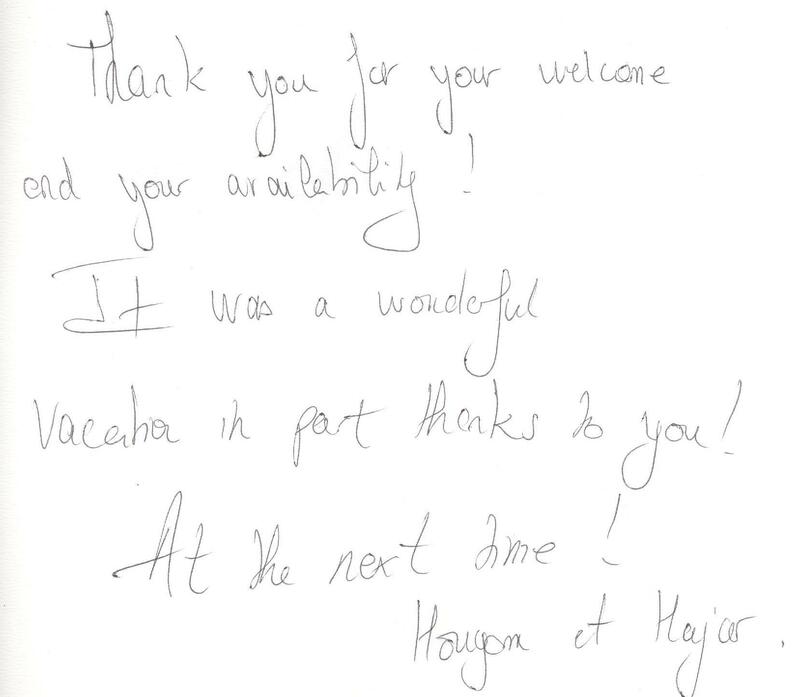 Children under 6 eat for free, and packages for older guests that from just AED 220 pp.! Don’t delay, book your seats today! 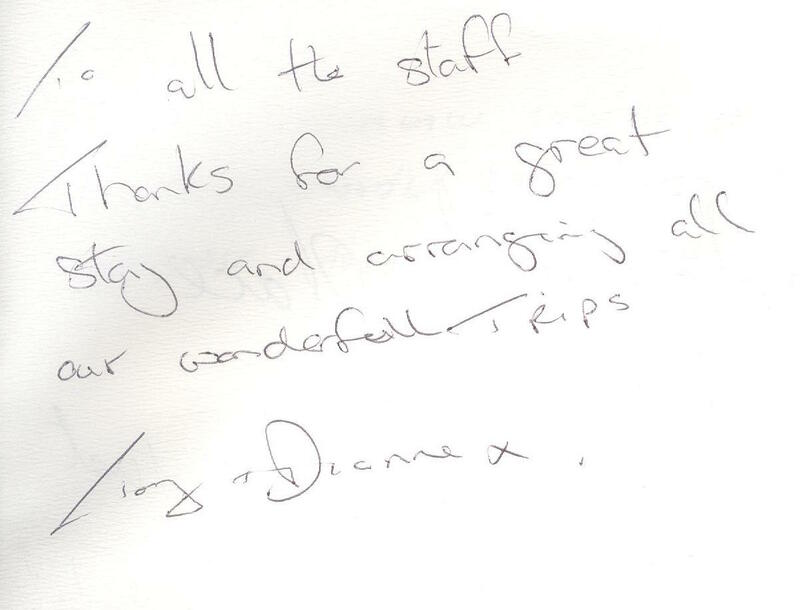 A fabulous Friday brunch offer, another #guestcommentswednesday, and our festive menus! Here we are again! 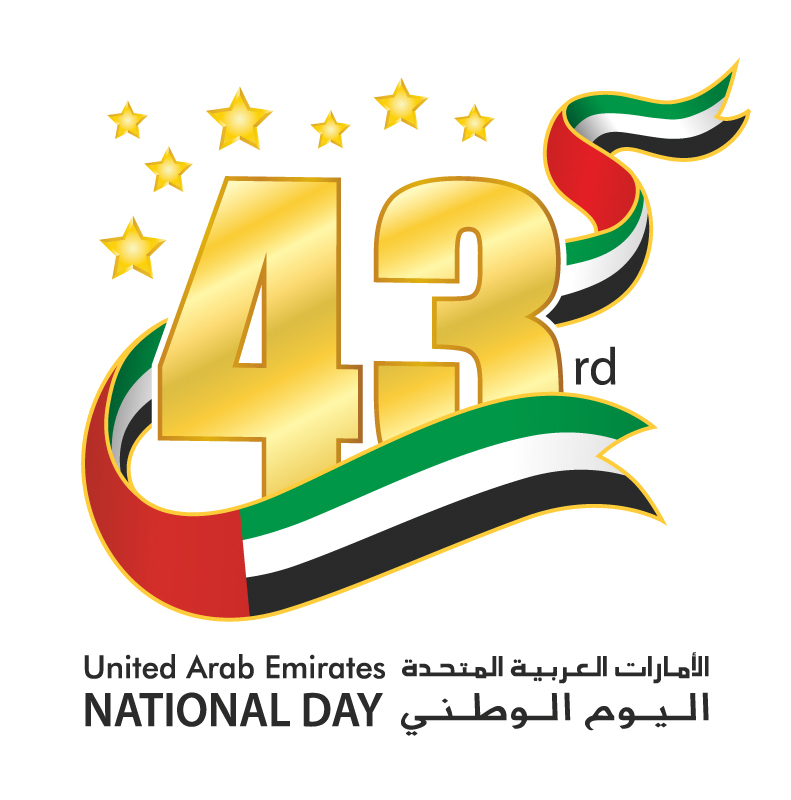 It’s December already and the 43rd UAE National Day celebrations are almost drawing to an end. Once again, happy birthday, UAE! To cap off this week, why not join us for brunch? 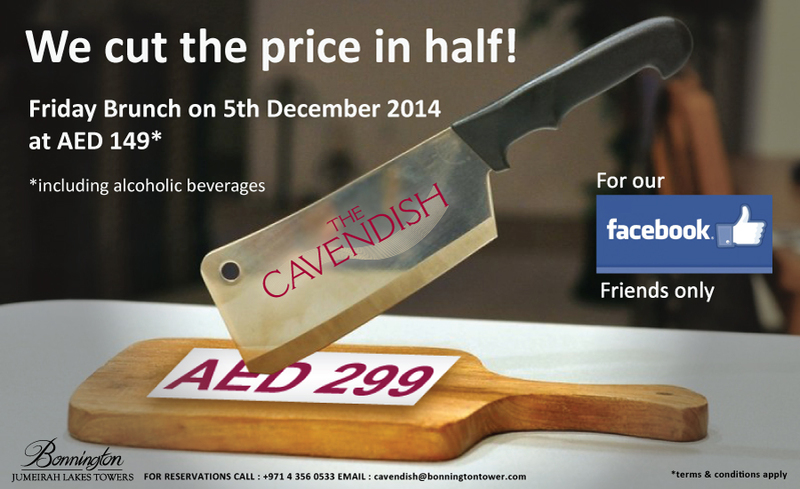 This week, we have a very special offer for our Friday Family Brunch in the Cavendish Restaurant in JLT – we cut the price in half for you! Just head over to our Facebook page and grab the offer! 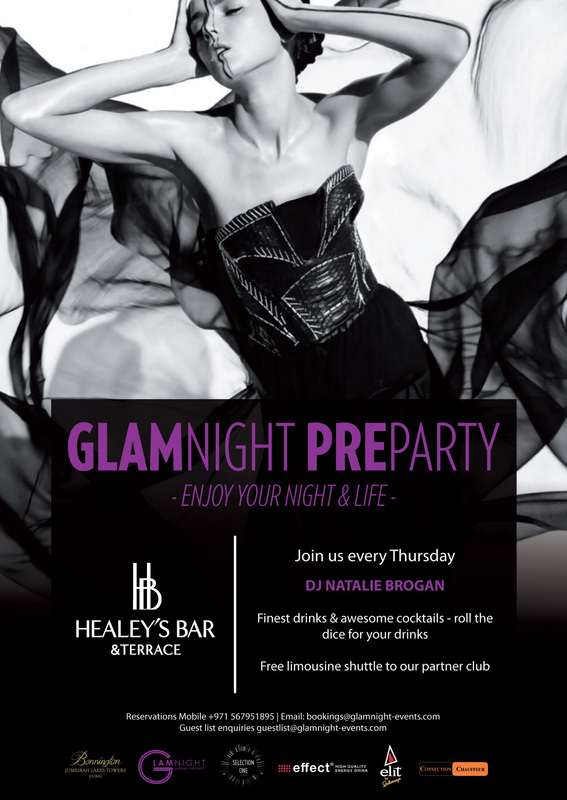 If you’re looking for some glamour this week, why not join our weekly GLAM night pre-party in Healey’s? It takes place every Thursday night! It’s Wednesday again and we’re nearing the end of another week, so here’s the latest edition of our #guestcommentswednesday series. While we have you on the line, so to speak, and seeing that tomorrow is Thursday, we’d also like to tell you about the best way to start your Dubai weekend. 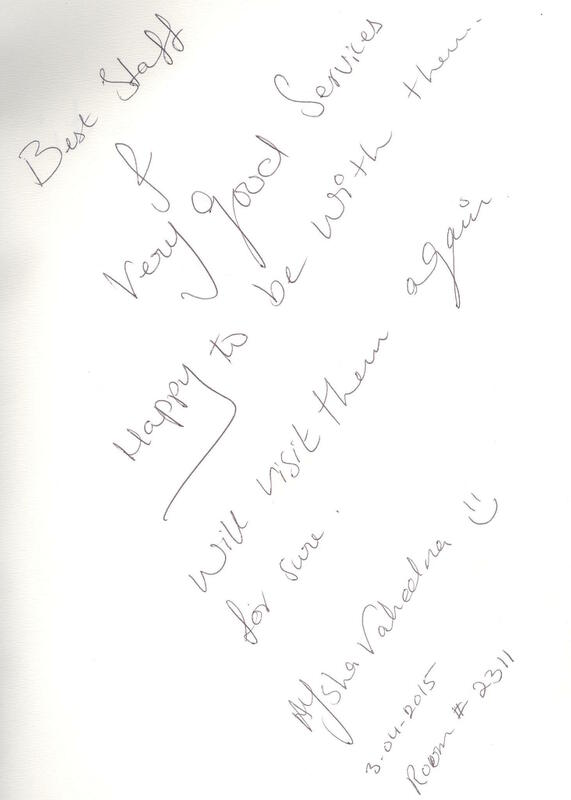 You can find the menu for it on our Slideshare account here. Secondly, Thursday night sees the second week of our #glamnightsathealeysbar&terrace take place. Geared towards the city’s stylish party folks, GLAM night offers you the chance to join the pre-party in our Healey’s Bar & Terrace, listen to the award-winning DJ Natalie Brogan, win free drinks, and – to top it all – get a free limousine ride to our partner club later on in the night! 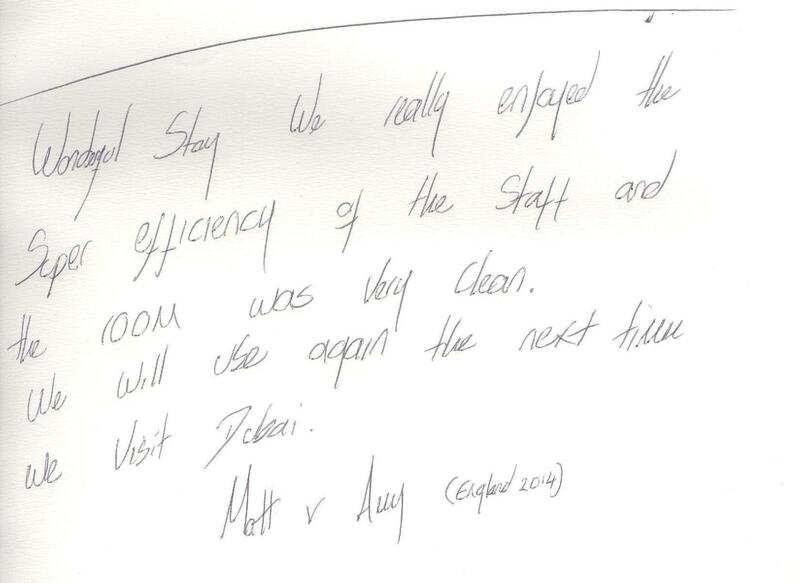 Last week, our friends from Servicexcellenceblog came for the launch night and you can read what they thought here. Our 2013 Festive Season Line-Up! December 1st is approaching fast and it’s time to think about Christmas and New Year’s. 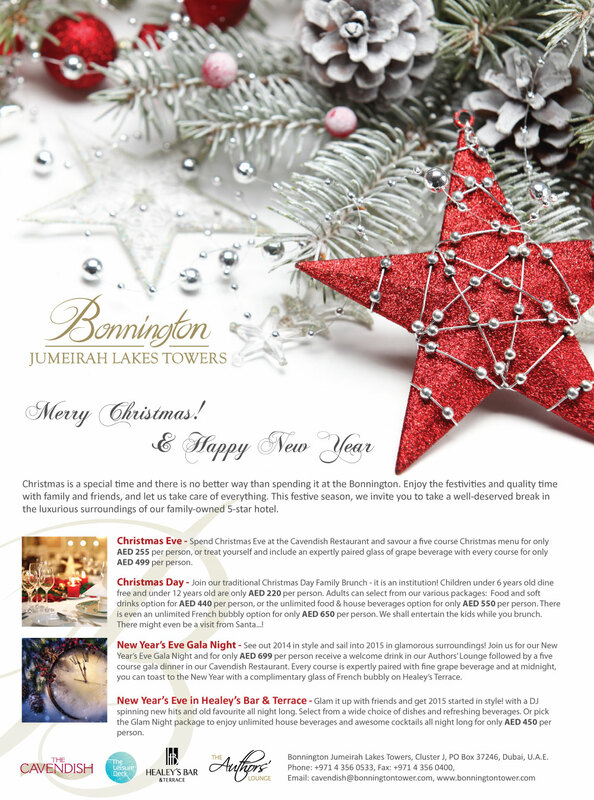 Here’s our line up for the 2013 festive season at the Bonnington Jumeirah Lakes Towers, Cavendish Restaurant, and Healey’s Bar & Terrace. 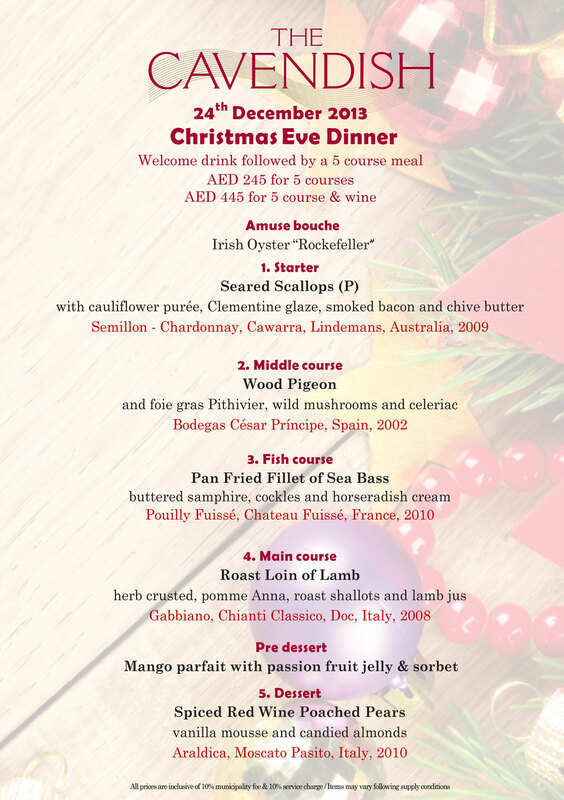 Start your celebrations with Christmas Eve Dinner in our Cavendish Restaurant – Dubai’s best kept fine dining secret. 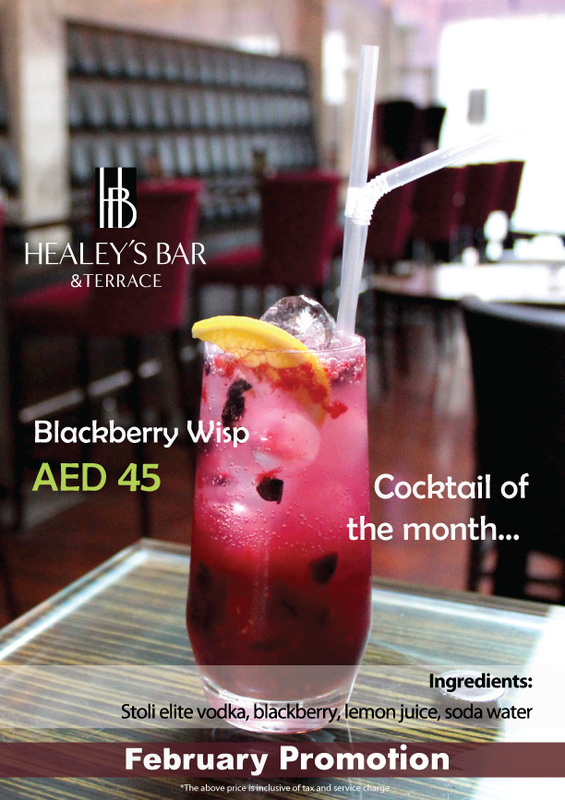 5 gourmet courses for only AED 245 per person, or AED 445 if you want to pair food & wine. 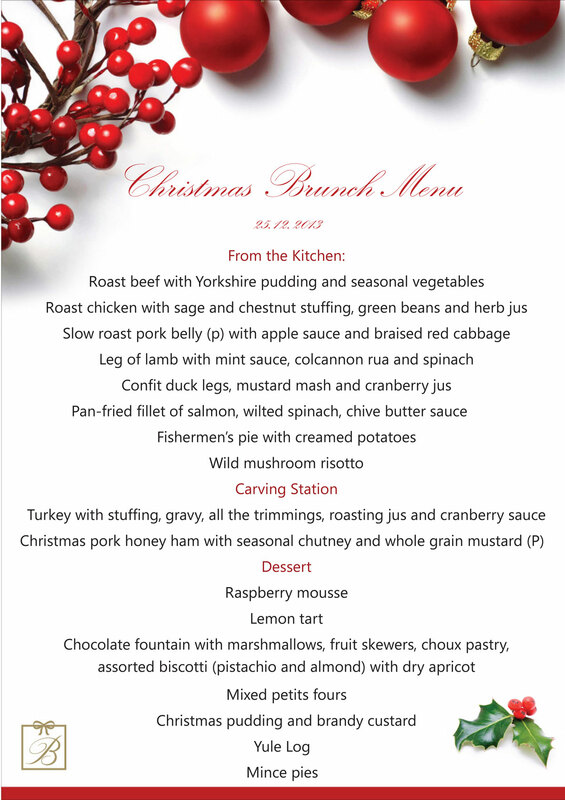 On Christmas Day, we’re offering our popular Family Christmas Brunch, complete with all the trimmings and a visit from Santa! 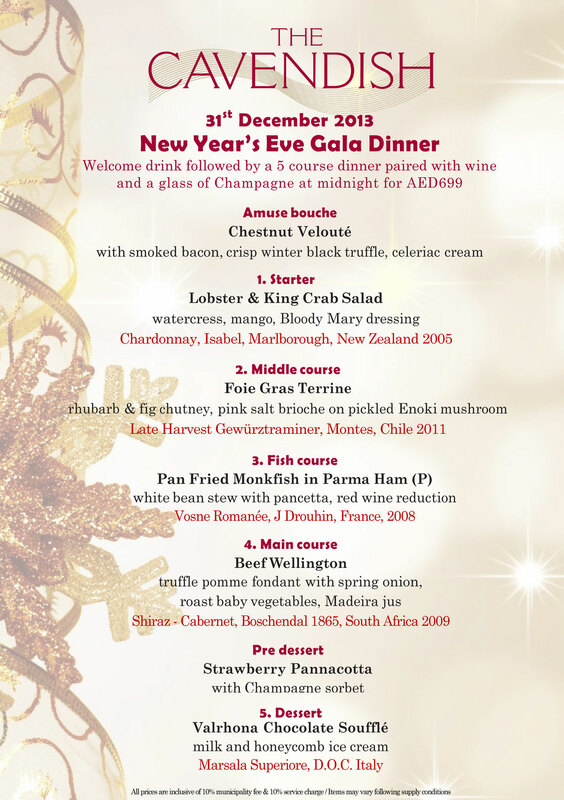 Finally, don’t miss our New Year’s Eve Gala Dinner! You can find out more about these events on our homepage – plus, you can book your seats online, too! What’s On Awards 2012 – Help us win & you could be a winner, too! You may remember that, about a year ago, our McGettigan’s Irish Pub, won the What’s On Award for “Best Pub Grub”. Time flies, and voting for the 2012 What’s On Awards is now open. 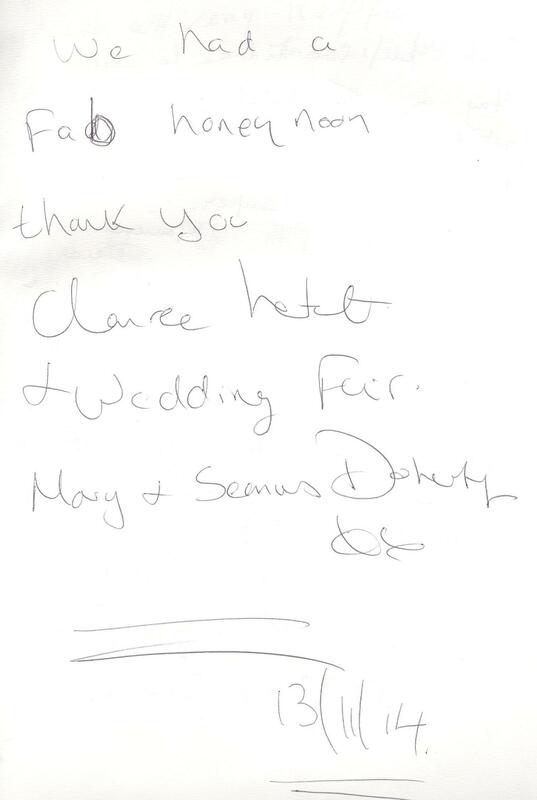 McGettigan’s is, of course, in the running again, but so are some of our other outlets. Go to http://whatsonawards.com/login.asp and register (it’s quick & painless). What’s On Magazine will pick a lucky winner from everybody who votes in the awards and you could win AED 5,000 just for voting! An Easter brunch for the entire family! Don’t forget! Easter is just around the corner and we’ve put together a special “Easter” edition of our Friday Family Brunch in the Cavendish Restaurant. 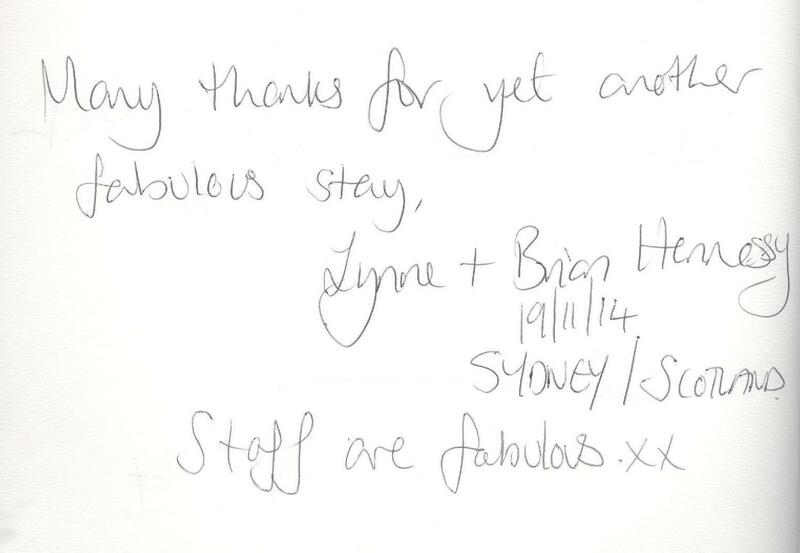 It’s “egg-cellent” value, so book early to avoid disappointment and take the family out for Easter! 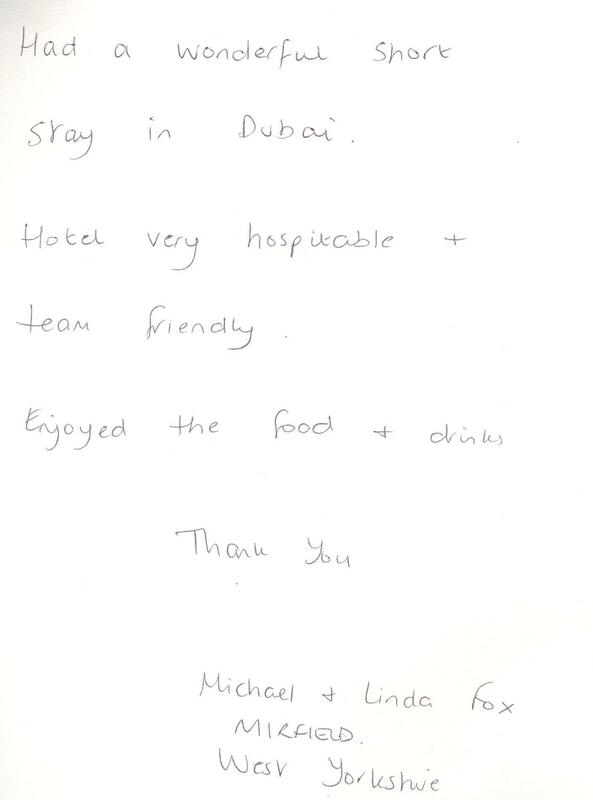 To book your table, call 04 356 0600 or email us. 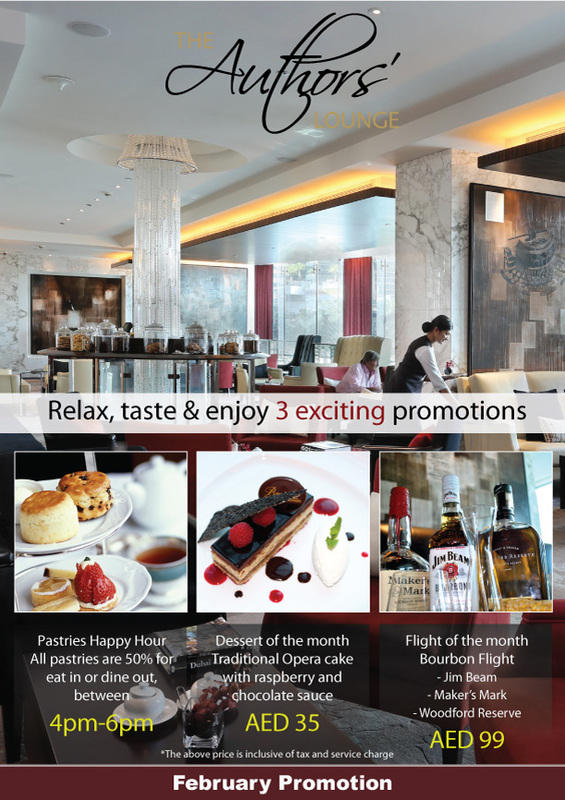 Brunch packages start from AED 199 for adults. 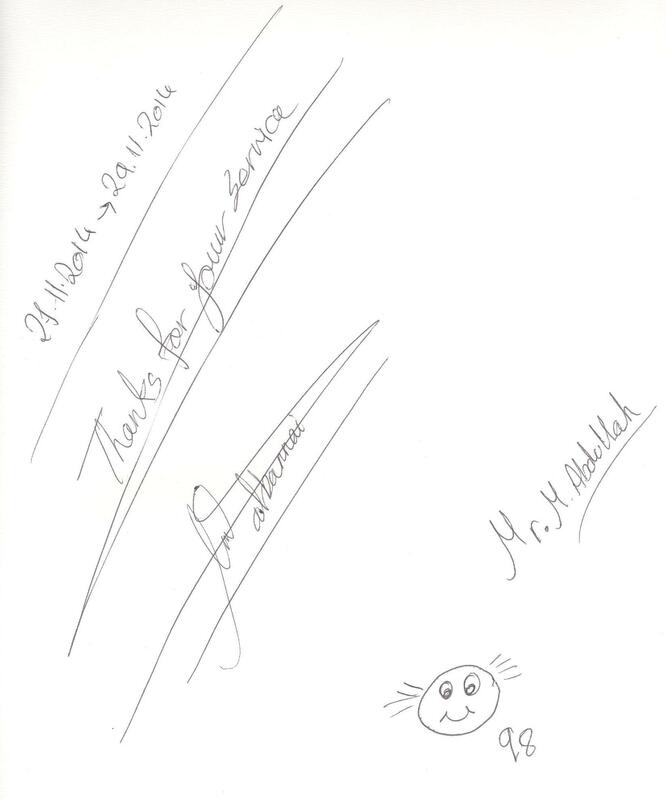 Kids under 12 only pay AED 149 and the under 6′s eat free!